Aaradhya Holidays is a name that is counted amongst the best tour operators across Cochin (Kerala, India). 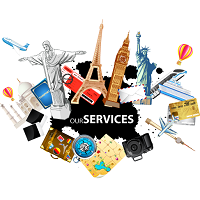 We have adroit agents who provide airline tickets and rail tickets for the travelers. As experienced tour operators, we have designed various travel packages that include honeymoon holidays, romantic holidays, family holidays, beach holidays, beach island tour, group holidays, cruise holidays, adventure tour, pilgrimage/religious tour, heritage & culture tour, wildlife tour, yoga & Ayurveda tour, golden triangle tour, and Buddhist pilgrimage tour. So, rush to us now!